Ever since 1774, when Benjamin Jesty vaccinated his wife with cowpox to protect her from smallpox, vaccines have been at the front lines of our battles against infectious diseases. Now could be their heyday, with some accusations about vaccine safety finally proven false, and more vaccines being developed and even given to older and older patients. Martha Folmsbee, Ph.D., staff scientist in the scientific and laboratory services department of Pall, will be among the speakers at IBC’s “Vaccine Production Summit” in Boston in June. She will be discussing how filters behave differently under different conditions, so that although filters are tested by their manufacturers, those tests may not be directly relevant if manufacturing conditions differ from test conditions. According to Dr. Folmsbee, “no filters are absolute for every possible solution,” rather, a specific filter must be chosen for each application. In addition, filter ability and retention can be inversely proportional, so a happy balance must be found. Manufacturers often opt for filtration products that can filter their solutions more quickly, but they need to be aware that by doing so they might be compromising sterility in some cases. In terms of vaccine production, Dr. Folmsbee warns that adjuvants, often oils, surfactants, and liposomes, can decrease the surface tension of a solution. This lower surface tension can diminish the bacterial retention of any given filter. Adjuvants can also clog filter pores, further reducing their bacterial retention. Some adjuvants—like aluminum salts, some liposomes, and microparticles—may be larger than some bacteria, making filtration of the final solution an ineffective method of terminal sterilization. In such cases each component must be filtered or otherwise purified further upstream in the process, and then the components can be combined aseptically. According to Pall, filters behave differently under different conditions, so that although filters are tested by their manufacturers, those tests may not be directly relevant if manufacturing conditions differ from test conditions. Intercell has developed a transcutaneous patch technology for delivering vaccines to the skin. In contrast to the currently used intramuscular injections, which are invasive and allow vaccines to travel to distal lymph nodes and create systemic side effects like soreness and fever, this method allows for a local administration, according to CSO Larry Ellingsworth. “Skin is a good target for vaccination if you can get the vaccine efficiently delivered.” Skin has a high density of dendritic and Langerhans cells, so lower doses of vaccines can be administered to achieve the same response as injected formulations. Delivery relies on pretreatment of the skin with the company’s Skin Preparation System, a mild abrasive that removes the stratum corneum to enhance uptake of the vaccine. “It took a lot of time and development cost” to ensure that this system didn’t hurt and to make it more attractive than a needle and enhance compliance, Dr. Ellingsworth says. Intercell uses the heat-labile enterotoxin (LT) from Escherichia coli as an adjuvant. LT induces a potent enhancement of both T-cell and antibody responses but is too toxic to be administered orally or intranasally. Justin Neway, CSO and vp at Aegis Analytical, is keen on incorporating the principles of quality by design (QbD) into vaccine production. Whereas, Dr. Folmsbee believes that deciding which filter to use for purification must be determined when planning the entire manufacturing process rather than only at the last step, Neway stressed that we need to use data from current manufacturing processes to hone future process development. QbD requires that companies continuously demonstrate that their process is running as designed so problems can be isolated at the point at which they occur. This way, if the final product is flawed, you don’t have to go through the entire manufacturing process to identify where and when the problem occurred. Vaccine development is among “the most variable life science processes; it is ripe for design,” Neway reports. 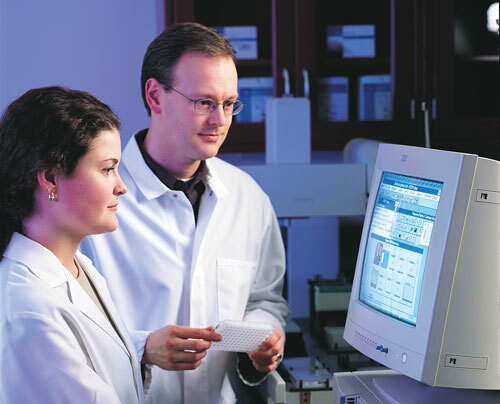 QbD, he adds, is “about the outcome you are trying to achieve rather than the technology you are using to achieve it.” Aegis Analytical created Discoverant software, a real-time, self-service data access and contextualization platform, to help life science manufacturers segue into achieving their QbD goals. John P. Hennessey Jr. has been involved in the process, analytical, and formulation development of vaccines for over 20 years. He is currently vp of research and development of NovaDigm Therapeutics. NovaDigm is developing NDV-3, a vaccine that has demonstrated preclinical protective efficacy against two very different pathogens; it is directed against Staphylococcus aureus (including MRSA) and the fungal pathogen Candida. NDV-3 is undergoing a Phase I trial this year, so it is not surprising that Hennessey has potency assays on his mind. The main factor in choosing an appropriate potency assay is to define what you are trying to accomplish (with vaccines that would be trying to prevent disease by eliciting an immune response). Efficacy studies determine if this is really happening, but once efficacy is established such studies become unethical because an effective vaccine should not be withheld from half of the study subjects. Thus biomarkers—Hennessey calls them “surrogate markers of efficacy”—must be developed and used. Historically, these biomarkers were usually antibodies, but as knowledge of the immune system has expanded, T-cell responses are now often measured as well. In addition to assaying biomarkers, the contents of the vaccine are evaluated and correlated with biomarker levels and efficacy. For recombinant protein vaccines, like NDV-3, this is often an ELISA to quantitate the amount of vaccine antigen in the vial. For live vaccines, like attenuated viruses and bacteria, consistent replication must be demonstrated by applying the vaccine to susceptible cells.